This article walks you through the process of website design. From the start of the project, to the launch – this guide provides an insight into the web design process. When you finally decide that it’s time for a new professional website design, it can be a challenging thing. You have to weigh up costs, agencies and actually finding time to sit down and have meetings about your new project. Whilst the process may seem daunting, it can be relatively hassle free – if you know what’s going on. Yes, time after time, designers and clients clash over minor details that could be avoided, if clients knew what was going on. Whilst affordable website design is hard to find, when you do find an agency, you don’t want to lose them. Your designer needs to understand your needs. Everything from mobile website design, to a CMS that works for you. By understanding the process, you’ll know what to expect, and how each stage works. All so you and your designer don’t bump heads trying to meet impossible deadlines. Whilst web developers and designers take care of the coding and the functionality of the site, they also have a responsibility to make the site look good too, thus bringing in more traffic. People usually click off a website if it looks poorly designed or cheap. They simply don’t trust it. And whilst your website might have been swanky at the time, that was 5 years ago. Design trends change, and what was fashionable and looked good, may not anymore. Any website design agency will tell you that if your site is more than 7 years old, it’s probably time for a new one… And that’s not just a selling technique! You have to keep up with the latest trends in order for your site to be the best it can be. It’s all about creating relevant design, that looks good and works well. That’s the simplest part of what web design is. The process itself may seem complex, but we’re breaking down each stage to help you understand it a little better. This is the most crucial stage in the entire process. It ensures that everyone involved is happy with every part of the process in future stages. Planning the work is imperative to a smooth process. It allows the client to clearly lay out their wants and expectations, and allows the designer to explain what’s in their capability. Designers will attempt to understand the nature of your website. They’ll determine whether it is for a small, large or self-employed business. What kind of services / products you offer. And even if you’re an influencer or blogger – it’s vital for them to understand the purpose of your site before any real work begins. This might be an interview or, if you have an existing site, a little research on the designer’s part. Different clients have different needs, there’s no one type fits all approach to website design. Bespoke web design is to not only make your website unique, but to build it around your specific needs. Your new website is an investment for you. Agencies usually quote on the expected hours it will take. If the project takes longer than expected, you may be charged extra too. So, this is why the planning stage is so crucial. It outlines deadlines, costs, and how the project will be managed. Getting this first stage right can save your designers a lot of time, and save you over spending on a new website. Next, after gathering information, you’re likely to be interviewed about what you expect from your site. What your plans are, what your goals are and who your audience is etc. All of this is essential before the design work begins. You’ll be able to look at past work of web designers, as well as inform them about other websites you like the look. So, there’s a clear understanding of what you want for your website. One of the things that complicates the design process, is when a client’s expectations slowly begin to grow outside of the agreed project brief. Whilst this is a common thing, by no means should it happen repeatedly. The more work you expect, the longer it will take, meaning the longer you’ll have to wait and the more you’ll have to pay… Whilst it’s an easy trap to fall into, make sure you 100% with all the design work proposed in the brief. This will include proposed timelines, costs, and when the project will be completely finished. Teams will co-ordinate with each other internally about the stages of the project. Then, as the client, you’ll be liaised with updates on your project. The planning for the client is just as important as the plan for the team working on the site. Designers and Developers will discuss the project, including how long it will take. This is to ensure the project runs smoothly, from start to finish. And, to make sure that you, the client, is happy with the end result. Therefore, most agencies will have you sign off every stage, to make sure there is no confusion throughout the project. So that you’re happy with the proposed work and can agree to it at every stage. Or, if there’s something not to your liking, you can inform the team and they can come up with something different. Just remember the limitations of the project, before you sign and finalise the brief, take some time to consider if it has everything you want. Next, comes structuring your site. Site architecture outlines the workings of all your website. How it all connects and where everything goes. This visual display, makes sure than all the key pages of your website are considered – everything from contact pages to subpages, they are all outlined in the sitemap. Think of these as the blue prints to your site. It will show how everything connects and makes sure everything is there. How your site is navigated is an essential part of good web design, so designers will make sure that they plan out your sitemap perfectly. Once the site map is complete, and the architecture of the site is understood, then comes the design stage. This is when you’ll first get to see your designs on paper (or PDF). Visual style is one of the most important stages in the whole process. It’s how your site looks and feels; does it give off the right impression? This is where your brand meets your sitemap and brief, it has to match up to your needs and how you imagine it too. You’ll also be able to see designs for both mobile and other handheld devices too. This is one of the stages where you’ll have to most input. If designs are not to your liking, you can say. Web designers won’t take it personally, they just know that different clients want different things. The key is to let your designer know what you’re looking for. There’s nothing more painful for designers than being told that a client ‘doesn’t like a design’ – with no feedback what so ever. So, communicate what you want, and a web designer will be able to reflect it back for you. Now that all the designs have been signed off, it’s time for the development of the website. Which means different things for both parties. The agency will begin building the HTML, CSS and CMS, (a lot of technical jargon). But for you, it’s time to create the copy for your website. So, all the content you want to appear on your site. Text, video, images and even audio if need be. 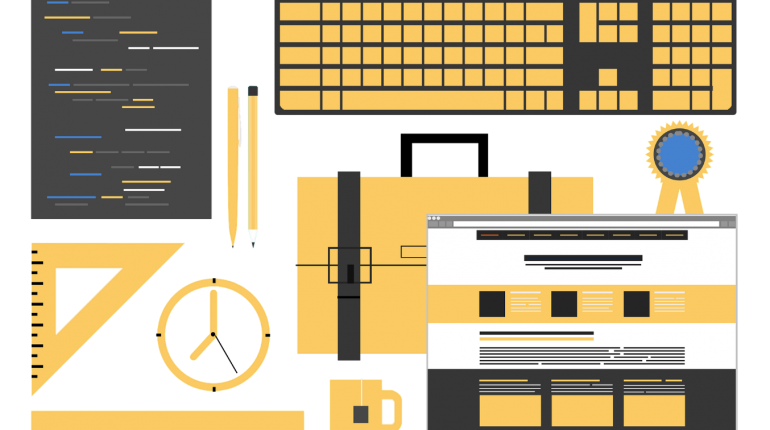 Gathering it all together so that your web design agency can build it into your new site. This is where you’ll finally be able to see the site on a screen – where it will, hopefully, be fully operational. Now, comes testing your site. You’ll be able to view this on a test link, before the site is ‘published’ and goes live. For the designers and developers, it will be to make sure everything works as it should. All the links and pages are set up correctly, with the correct content and other media built into it. The pages will work, be functional and the design will fit into the build. This is a chance to see how great it looks, and how well it works too. Testing allows designers to check that the site works well on all platforms, like different browsers and devices. If a website doesn’t work as it should, then that can be bad for business. Nothing will put off visitors more than a site that doesn’t work as it should. Testing is essential, and it’s the final stage before your site is launched to the masses. Your site is now finished, and ready to go live! But, this isn’t the end. No, you’ll need to constantly be on the ball – updating your content and media where and when appropriate. This is a great time to take on feedback from users and visitors to your website. You’ll be able to hear what they do like or don’t about the site. So, you can make any changes you need to before completing the process entirely. No site can be left to its own devices, it needs to be treated and maintained in order for it to continue working well. The front end of the design may be complete, but the back end is where all the magic of the site works. So, it’s important to maintain it and keep it working. Having a good quality, well designed website is invaluable for business and for a client’s user base. The better your site looks, the more visitors it attracts. The better it looks, the more that will stay and look around. Now that you better understand the design process, you know what to expect when you’re expecting a new website. Website design is a process that takes time and patience from both parties involved. But remember, it’s your money you’re investing. So, make sure you pick the right agency at the best price. Whilst cheaper may be better for your wallet, it’s not better for your site. The best websites don’t cost a fortune, but they won’t be cheap. Be prepared to invest for the future of your website. The right agency can create a beautiful website, that fits all of your needs.